It's a case of a gift and an identikit. Those are two of the few things we really know about Milan's transfer market this summer. Yet, for journalists and Milan fans, the summer of 2011 is teeming with transfer speculation despite and because of those two factors, which promise much but reveal little. What remains certain is that this summer will not just conclude with the signings of Philippe Mexes and Taye Taiwo. Milan have just won the Scudetto and have identified the trivial matter of the Champions League as their next target. The current squad is certainly good enough to defend the Italian title, but to compete in Europe, Milan need a signing that will give them a quality that cannot be legislated for, that mercurial ability to turn a game on its head, an ability they had with a player like Kaka. This team may actually be more complete in other departments than the team that won the Champions League in 2007. Yet, even with Zlatan Ibrahimovic and Robinho it lacks incisiveness, a fact conspicuously evident in Milan's hollow capitulation to Tottenham this season. As far as transfer markets go, this summer may be Milan's most important one in nine years. At the end of the 2001-02 season, Carlo Ancelotti had ensured that Milan would qualify, by the smallest of margins, for the Champions League. In preparation for Europe, Milan conducted a memorable transfer campaign, bringing in players like Clarence Seedorf and John Dahl Tomasson to join the likes of Andrea Pirlo, Rui Costa, and Filippo Inzaghi, all three of whom were purchased a year earlier. Yet, it was one salient transfer in 2002 that punctuated both Milan's intent and the core of the team that would see the club lift the Champions League a year later. On a personal level, it was a transfer that went a long way to mitigate the pain of the 2002 World Cup. For me, Italy's ludicrous World Cup campaign in the Far East loomed over the summer of 2002 as a melancholic reminder that the failure of the national team could now be added to other problems afflicting Italian football. The Azzurri, it seemed, were only obliging to an encroaching sense of malaise in the game. Things were not looking good. The two bigger clubs of the country, Lazio and Fiorentina were in disparate but desperate levels of financial trouble. Cinema producer and Fiorentina owner Vittorio Cecchi Gori, whose company produced the classic Life is Beautiful, had managed a ugly denouement for the club. Despite devastating debts, investigations into his false accounting, and a collapsing empire, Cecchi Gori did not sell Fiorentina, forcing the already-relegated club to liquidation and a new beginning in Serie C2. Lazio's president Sergio Cragnotti and his Turin-based food conglomerate Cirio were facing fiscal problems of their own. However, Lazio's crisis was not acutely existential; hence stars like Hernan Crespo and homegrown central-defender and captain Alessandro Nesta were put on the market to ease the club's trials. Milan were not exactly furtive when it came to their interest in Nesta. The turbulent negotiations between Milan and Lazio went on for much of August, and it was not until the last day of the transfer window that Milan announced they had signed the Rome-born player, who was twenty-six at the time. The deal was worth 31 million euros, a sum to be paid to Lazio over three years, and came after the Biancoceleste had rejected a bid of 26 million euros earlier in the month. Nesta's arrival certainly lifted some of my summer gloom. However, implicit in his transfer was an indictment of the financial mess that Italian football was in. Lazio and Fiorentina were part of La Sette Sorelle (The Seven Sisters), a group that consisted of the movers and shakers of Italian football during the 1990s and early 2000s (Milan, Juventus, Inter, Parma, and Roma were the other clubs). To see two of Italy's bigger clubs flail and even dissolve in one case was astonishing, depressing, but, sadly, predictable. Apart from being symptomatic of systemic financial problems in Italian football, Nesta's transfer also marked a watershed in Milan's transfer dealings. That is, it combined three qualities that no Milan transfer has had since. First, Nesta cost 31 million euros, a figure Milan have not spent on any player since 2002, let alone a defender. Milan vice-president Adriano Galliani and sporting director Ariedo Braida have assidiously searched for bargains, promising youth, and free transfers, and to their credit the strategy has been largely functional. The transfers that have demanded a prominently high fee since Nesta have been of Alberto Gilardino (24 million euros), Robinho (18 million euros), and Zlatan Ibrahimovic (24 million euros, should Milan choose to buy him), and not one of them required a greater outlay than Nesta. Secondly, Nesta came to Milan at the peak of his powers. There have been many big names that have arrived at Milan since Nesta, but their signings were qualified by different reasons. Ronaldo arrived from Real Madrid with brittle knees and his erratically best years behind him. The snap of his knee in February 2008 during a game between Milan and Livorno was an emphatic signal that the player was now finished at the highest level, and that Milan's faith in him was bizarrely optimistic. His compatriot Ronaldinho may have been slightly luckier with injuries and only twenty-eight when he came to Milan, but he was a player who had had a surfeit of success in football, and his performances for Milan were tellingly listless. Finally, and this one is perhaps arguable, Ibrahimovic arrived last summer as a player beginning his descent from the peak. Though he was central to Milan's Scudetto this past season, he turns thirty this year. Thirdly, Nesta arrived without any real doubts around his caliber. 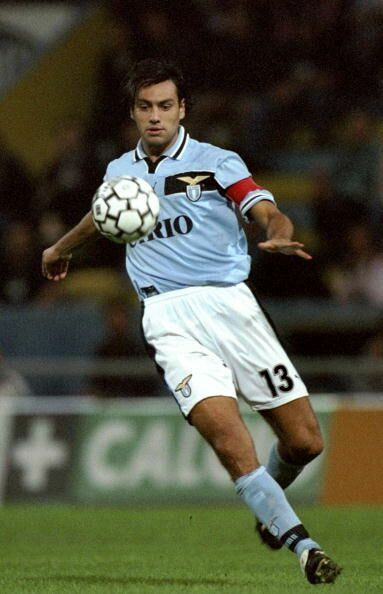 He had already won a Scudetto in a Lazio team that had the redoubtable talents of Diego Simeone and Pavel Nedved. He was also a mainstay in the Azzurri defence. In contrast, Gilardino was yet to establish himself at a big club, even if he rescued Parma from relegation in 2005. His subsequently nervous performances for Milan were an indication of a player who did not have the temperament for the unrelenting scrutiny that comes with playing for a club like Milan. Robinho has risen to the occasion at Milan this season, but he also impressed at Real Madrid before injuries and tactical decisions marginalized him. His stint at Manchester City was also sporadically brilliant before injuries hampered his progress. However, despite glimpses of his true worth, he was still seen as a player yet to live up to his billing when Milan purchased him last summer. Of course, Nesta did not arrive entirely without any reservations surrounding him. The initial physical problems that he experienced at Lazio were an ominous signs of what was to come, and his Milan career has been continually interrupted by injuries. However, his transfer was unreservedly ambitious. Milan wanted the best defender on the market, and they got the best defender on the market. There was bargaining, yes, but there was no settling for any less than Nesta. The move paid off instantly as Nesta was critical to Milan's Champions League triumph the following season, forming an intimidating defence with Paolo Maldini. Eight summers later, Milan, still beaming from their fresh Scudetto win, are in search of a mezz'ala, a left-sided midfielder, and, while they may not admit it openly, a trequartista. There have been a litany of names linked to Milan. For not an insignificant time, Cristiano Ronaldo was being mentioned as a possible transfer. The risible suggestion, impossible on so many levels that it is almost insulting to the reader to put it down in print, gained some legitimacy because Berlusconi had said in April that if Milan were to win the Scudetto they could sign "one or two great players, and one of them could be Ronaldo." Whether those were ramblings of a cynical prime-minister attempting to ease the political crisis immersing him, or of just a senile man in general is difficult to ascertain. What is certain is that Ronaldo is not coming. However, the fact that there was even speculation reveals a distinct obliviousness on part of Milan fans. The truth is, Milan are not in the position to buy a player like Ronaldo despite Berlusconi's wealth. Apart from the fact that Berlusconi will not pay a lurid amount of money for the Portuguese, he also does not want to pay that much money. Few could fault him for at least attempting to appear partially sane in an increasingly grotesque transfer market and as prime-minister of a country struggling with recession. Some other factors also contribute to Berlusconi's frugality, including perhaps a waning interest in the club, advanced years, and children, Piersilvio and Barbara, who want him to be more cerebral and less sentimental when it comes to the club. Of course, the advent of the Financial Fair Play (FFP) rules have given Berlusconi an alibi to remain financially responsible. And few could fault him there as well. If the rules are even applied to the spirit of the law and not to the letter, any gargantuan signings in the future look impossible for Milan. The rules are fairly unequivocal. UEFA will permit clubs to have losses of 45 million euros between the years 2012 and 2015. After that, clubs can still have losses of 30 million euros over three years, before the allowance of losses is restricted further for future years. UEFA is threatening to deny clubs entry into European competition if they do not follow the rules. The dismaying fact for Milan fans, and Inter fans as well, is that the rules do not permit a rich owner investing money directly into the club. And for those who think the rules can be bypassed by an owner's company signing a lucrative sponsorship deal with the club will be disappointed. Sponsorship deals must be agreed upon at market price. Galliani has already said that the FFP rules "hurt Italy," but it is the limited sources of revenue that is the real bane of Serie A. For example, Milan will continue to rent the Stadio Giuseppe Meazza from the city council until 2016, meaning they cannot purchase and refurbish the dilapidated mess that the stadium, which is one of the better stadia in Italy, has become to earn more money from naming rights, corporate hospitality etc. (this article is not a financial report on Milan, but if you are interested in that aspect, see Swiss Ramble's excellent piece). When Milan signed Nesta, Serie A had clubs in precarious financial positions. Currently, while Serie A clubs in general may be operating in a marginally more salutary context, Milan are having to reconcile chastening financial realities with the demands of the fans. Some fans, and not an insignificant amount I can assure you, still believe that Milan will sign Cesc Fabregas from Arsenal. If Milan do end up doing so, then the club's hierarchy may know something that we do not. Sure, there are ways to get around the FFP rules, but to compete with the likes of Barcelona (Fabregas's most likely destination if he is to move) without your owner's money and half the revenue seems impossible. Yes, it seems to be so. However, even with all the overwhelming obstacles, there is an eerie, not entirely unprecedented surreptitiousness around Milan's dealings this summer. Somehow, despite the odds, fans are still expecting a signing that will be more luminous than players like Hasmik, Ganso, or Alberto Aquilani. Fabregas would be incandescent. And not just because he is a star--admittedly it helps--but also because he has the attributes and the quality to be vital for Milan in a creative role. Yet how would that be possible given all that has been discussed? In this year's June edition of World Soccer, Nick Bidwell and Gavin Hamilton indicate that there is less "financial transparency" in Italy, and that "English clubs have come under greater scrutiny simply because they are more open about their finances" (24). To land a player like Fabregas with the FFP rules in place will not only involve a large outlay (more than 35 million euros) from Milan, but also a certain secrecy around their finances. Further, if the cost of a big signing is amortized over a few years, then Milan will feel the financial burden to be less onerous. Consider, too, that the club may be relying on a certain flexibility when the rules actually come into effect. After all, UEFA have indicated that clubs incurring greater losses than the permitted amount may be allowed to compete if their losses are showing signs of decreasing. If Berlusconi is to make a large investment, this year seems to be the most opportune summer to do so, and not just because the FFP rules are yet to take full effect. Berlusconi's political career, for which he has often used Milan, and, more recently, which he has privileged over the club, appears to be teetering. Just this week, he lost a key vote, indicating that the man has squandered the confidence of a good portion of the Italian public. A huge signing would be some solace for him, briefly galvanizing a popularity that is even declining in the city of Milan. For now, Milan fans are for the most part divided between those who are cynical and all too aware of the possible implications of FFP and those who are in willful denial of the rules. Then there are those like me, who are aware of the imminent changes, and Galliani's proclamations of poverty, but who continue to dream. Nine years ago Milan bought Nesta, and two Champions League and Scudetti later he still remains on guard. If Milan are to inaugurate another several years of European success, the right and the big signing has to arrive this summer. Do you think in some ways this signing has already been made in Cassano? He is a special talent. His head obviously was not right during his stint in Madrid but if he has matured even a little I think you may well have the 'crack' that the milanisti are craving. Giuseppe Rossi is another name that comes to mind as a player that has that little something extra. The problem with Cassano is time is running out for him to be at the top. He turns 29 in less than a month, and his performances for Milan have been inconsistent. He started off superbly in January, but then slowly started to put in some forgettable performances. To expect him to be an useful variant of Rui Costa or Kaka is far too optimistic. Great feet, but poor fitness is another issue. His attitude has certainly improved. However, in Ibrahimovic and Robinho we have players who have been far more consistent (even considering Ibra's performances in the second-half of the season). I think Allegri has a sub role for Cassano in mind, and Cassano doesn't strike me as a player who will fight for his place now. Giuseppe Rossi would be a fantastic signing. I'm a huge fan of him (even if he is a player with slightly different characteristics than we are looking for). However, I don't think Milan are interested in him. Ganso (depending on FIGC's EU ruling) is a likely arrival.